Welcome to the 2013 series of Friday Feast and what a beauty it’s going to be, chockers with fabulous authors, gourmet adventures, great books and mouth-watering recipes. And what better way to start the series than with Booktopia’s 10th favourite Aussie novelist Rachael Johns? Well, I suppose we could have kicked off with me but I’m a tad busy being semi-homeless and sulking over my lack of cooking equipment and cookbook collection, so Rach is your girl. Rach had a massive hit with her first rural romance, the ARR Award nominated Jilted and is now burning up the charts with her new release, the wonderfully titled (and written!) Man Drought. Sounds like fun, doesn’t it? Well I can assure you this book is all that and more. So why not grab yourself a copy right now? Buy the ebook or paperback from Harlequin Australia or Booktopia, or try Amazon’s Kindle Store, Kobo or Google Play for the straight ebook. While you’re on your buying spree, check out Rach’s other January release, Stand-In Star. Clickety-clicking all done? Excellent. Now you can play with Rach. Hello Feasters! It’s always a pleasure to visit my good buddy Cathryn, but although I LOVE her Friday Feast segments, I must admit when it’s my turn, I get a little fearful. 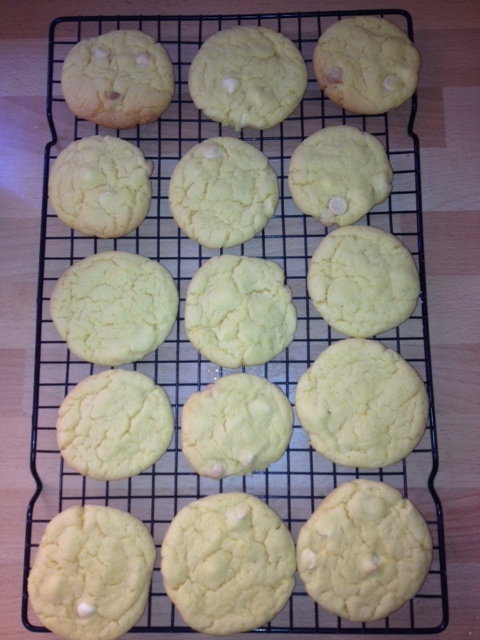 You see, although I once was a rather good baker, I seem to be getting worse and worse. It’s true, with each book I get published, I seem to lose more of my baking abilities, so today, I’m going to share with you the most simple, easiest dessert ever, that also happens to be tasty, but first, I’d like to play the tour guide and take you a country pub near me. Why? Because my newest release from Harlequin Australian – MAN DROUGHT – happens to be mostly set in a rural watering hole, The Majestic Pub in Gibson’s Find. Note that this pub and town are figments of my vivid imagination, but they take bits from a number of pubs I’ve driven past or visited over the years. For some reason these old buildings fascinate me! 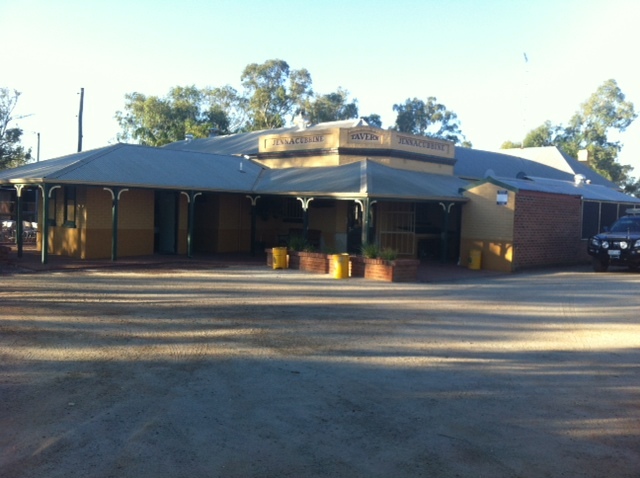 One such pub, which was an absolute golden find when we moved to Goomalling a couple of years ago, is THE JENNACUBBINE TAVERN (or Jenna Tavern to locals). Although located in the Shire of Goomalling, Jenna Tavern is a fair drive from town in a now pretty-much deserted ‘village’. There’s tennis courts, a church, a TINY CWA building and the pub. Jenna Tavern isn’t on a main highway or road but seems to do perfectly well through word of mouth. Unlike the pub in the beginning of MAN DROUGHT, Jenna is well looked after, frequently upgraded and has a friendly staff and a great atmosphere. Jenna is famous for its steaks. 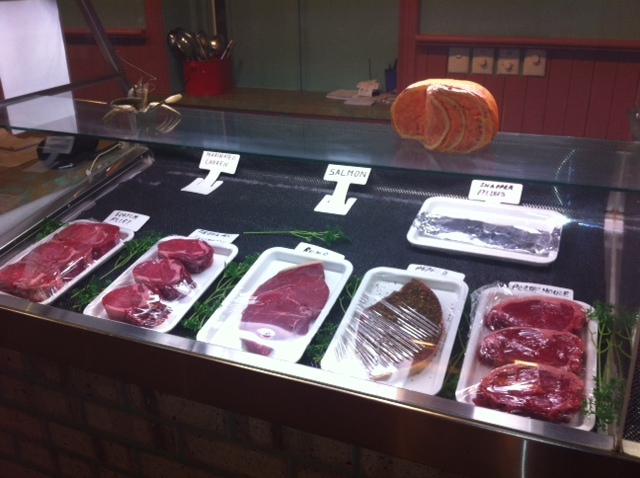 Instead of a traditional menu, visitors are asked to choose from a selection of steaks (including some chicken and fish). They then state how they want it cooked and can even watch this process over an open grill. 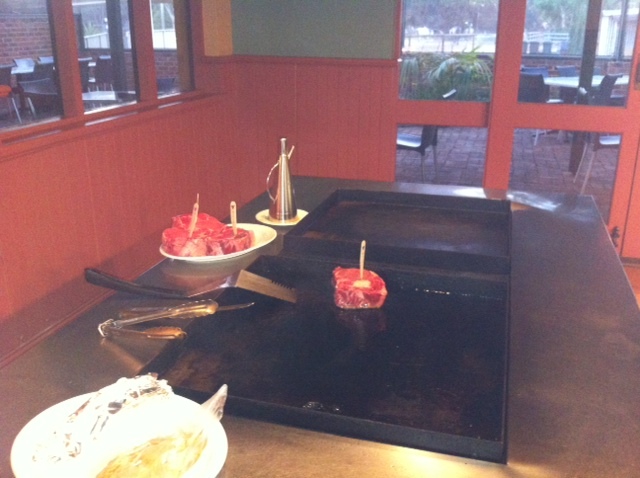 Once their steak is cooked to their preferred perfection, there’s a buffet of salads and warmer dishes. I was lucky enough to enjoy a meal at Jenna last week for my b’day and I seriously haven’t had a better steak for a long time. If I had one bone to pick about Jenna Tavern, it would be the desserts. I’m a dessert gal through and through and although full of steak, I couldn’t resist ordering a dessert. Unfortunately this didn’t live up to my expectations, so today (below), I’m going to share with you one of my old favourites. But before I do, I’d love to hear from you (in the comments section) about any fabulous country pubs you’ve visited. One day I might caravan around this beautiful country of ours, visiting the pubs for steak and a beer! What pubs should I put on my must-see list?! Now, for the dessert I promised. 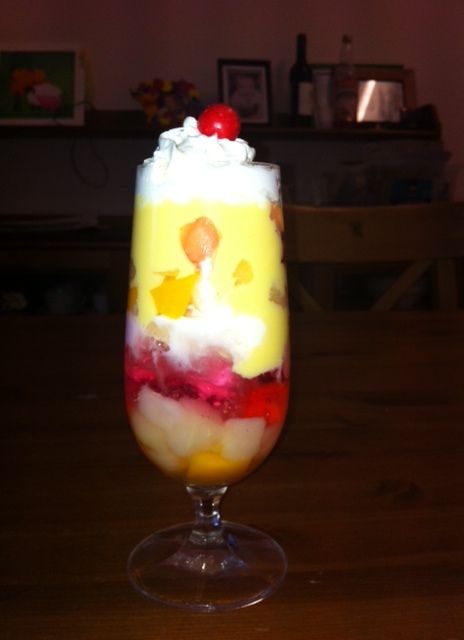 It’s an oldie but a goodie – Who’s for a Knickerbocker Glory? Remember, I said I’m not much of a cook these days, so this is an easy-peasy recipe. But it’s still delicious. Some gorgeous sundae glasses. Let’s face it; cooking is a lot about presentation. Layer above ingredients into a Sundae glass, top with whipped cream and decorate as desired. Personally I’m not a fan of cherries but they do look good on top. As do wafers. Some people apparently include chocolate topping, but I’ve never tried this variation. However you make it, you’re sure to ENJOY!! Ooh, simple and seriously yum. Now that’s a recipe to please everyone. Thanks, Rach. I might have to venture down to mighty Goomalling after the Romance Writers of Australia conference in August and check this pub out. Those steaks sounds delicious! So where’s your favourite steakhouse? Or maybe you prefer the good old home barbie? Some of the best steaks I’ve eaten were had in little pubs and RSLs in outback Queensland, but I have to say my Jim can really hit that grill with flair these days and we’ve had some cracking home-cooked steaks. Might be able to have some more if we could just find a home, but one mustn’t whinge. Tis an adventure, this semi-homelessness! Now, if you’d like to learn more about Rachael and her books, please visit her website. You can also connect via her blog, Twitter and Facebook. This entry was posted in Friday Feast and tagged Australian romance authors, Australian Romance Readers Association, Australian Writers, Booktopia, Cathryn Hein, Cooking, ebooks, Food, Friday Feast, Harlequin, Jilted, Kindle, Man Drought, promo, Rachael Johns, Recipes, Romance Writers of Australia, rural romance, Stand-In Star on February 1, 2013 by cathrynhein.